The promise of robots creeping their way into the kitchen continues to inch closer to reality, however as a venture investor I’ve been thinking a lot about what the right implementation is for the unique beast that is the food service industry. When we think about scaling traditional industries that have a robotics implementation, the question we have to answer, which Vijay Sundaram helped me think through, is: Does the robot help the restaurant group scale so that a traditionally non-venture scale business can achieve lower-cost scale due to an unfair tactical advantage? The key thing with robotics and automation broadly is that they create efficiencies. 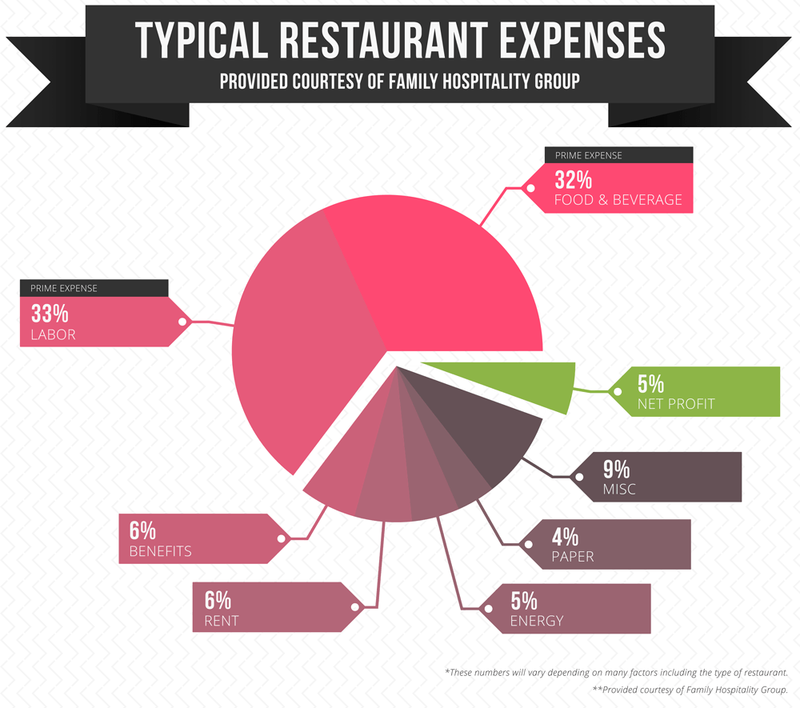 Restaurants have plenty of inefficiencies vs. traditional tech companies. Margins are low, your product has a high time decay, and there are a wide range of persona profiles on the labor side. 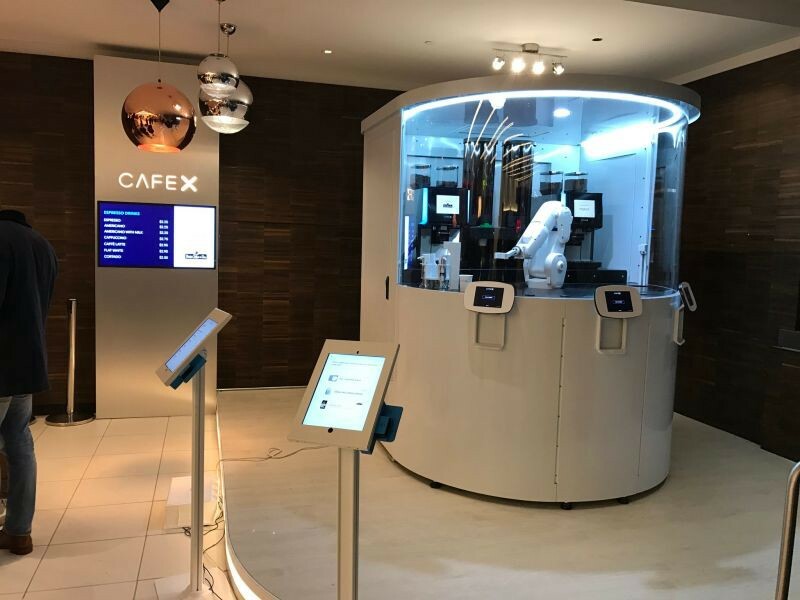 For Labor, robots can create efficiencies to help scale the servers or cashiers, enabling them to improve the customer experience. They can also enable the kitchen to cook quickly, more efficiently, and with better repeatability. This repeatability also solves one of the largest friction points in scaling food output. However, a similarly important, but less talked about issue for scaling most concepts today is actually location scouting. If you look at an emerging restaurant group, location scouting is really hard once you reach a certain mass (~25+ locations). Today, that won’t be automated by robotics. For food cost, it’s less clear. Increasingly restaurant groups want to become more integrated into their supply chain by working with local food sources, but the costs only come down as the actual process costs come down (or at true vertical integration). Agricultural robots can lower food costs due to increased margin on the supplier side, but in terms of looking at a restaurant as an independent entity that’s more of a trickle down effect. So…What is the right path for a food service robotics company? 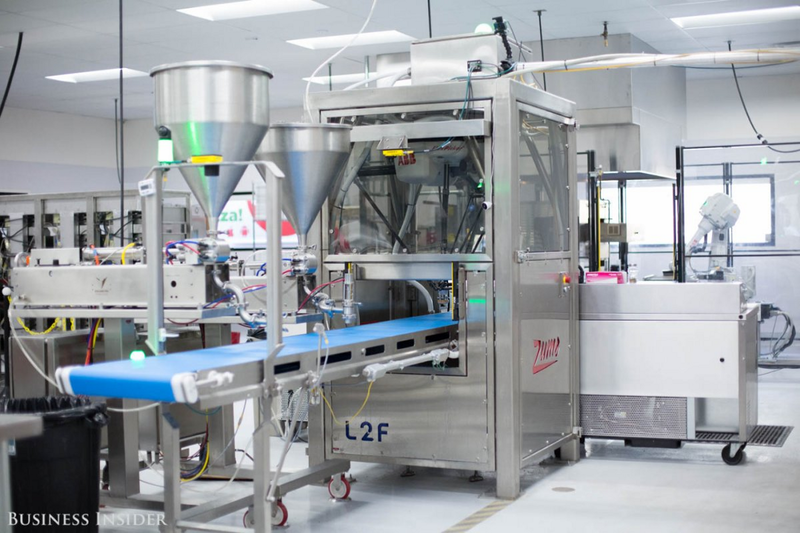 For Labor, look at commodity hardware — What we’ve seen over the past few years is custom robots that want to help existing restaurant groups automate a specific process. These increase efficiencies, but not in a scalable way because a lot of the existing infrastructure in this industry is going to be really difficult to change. This is similar to what we’ve seen in warehouse automation where robots that require infrastructure change make for a drastically more difficult sales process. Instead, we should look at the task that needs to be automated and utilize a combination of commodity hardware/sensors paired with software that does the heavy lifting to adapt the robot to various footprints. This is a really hard technical problem. But whether you agree with this approach or you say “ovens are large pieces of custom hardware!”, you’re still selling to restaurants, which is really difficult. 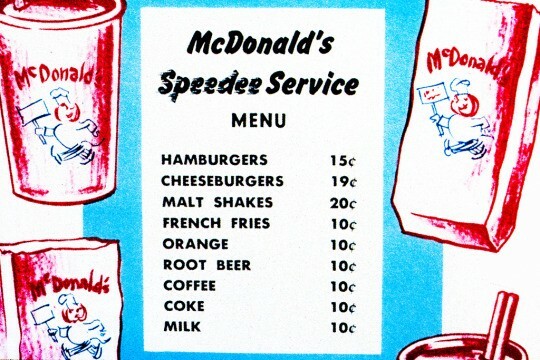 Just ask Ray Kroc. Speaking of Ray, McDonald’s rose to prominence because of elite execution due to a rethinking of how to create and serve consistent food. They rode this operational edge to build a restaurant + real estate empire worth over $130B. Of course, over time their edge has commoditized, but the underpinning of the brand was operational excellence. We’ve seen a similar early edge develop with QSR’s like Sweetgreen which has used better sourcing, data science, and mobile implementation to gain an edge in UX over a slew of other salad concepts. And for the first time in awhile, operational efficiencies and thus competitive advantages can quantifiably increase in restaurants because of robotics. This is a huge opportunity that you must own and build your brand off of. 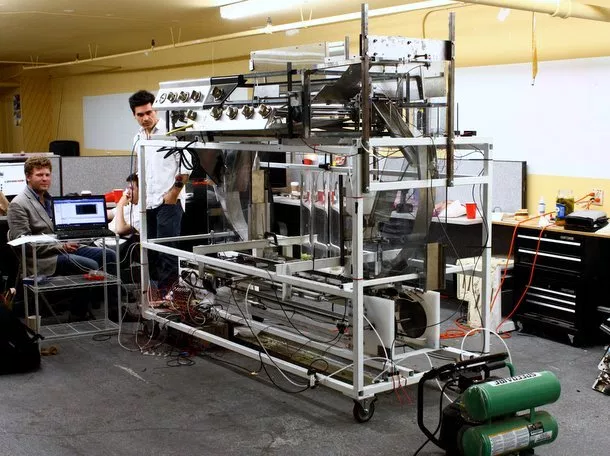 Zume pizza has done a great job at this by building custom robots (with ABB) for pizza assembly while also iterating on the actual delivery/cooking mechanism with pizzas that cook en route. But it’s still unclear how the robot helps scaling. Restaurant people tend to have split beliefs on what allows “venture” scale in restaurants. The operations side believes that location scouting is more important, while the food side not surprisingly believes that consistency out of labor is more important. Economically, the robot could enable better cash flow for the group as labor costs fall due to lack of turnover and fewer staff, while also removing difficulty of food consistency, but that doesn’t really scale in terms of the location implementation. Some people tell the story that robot-driven concepts allow the group to operate in smaller or differentiated real estate footprints in cities. This is where tech people coming into restaurants could get burned. While yes, you technically can put a robot-heavy QSR in a hotel lobby, or a smaller footprint, in order to build the next McDonald’s you must never forget that you are selling a lasting food-centric experience. CafeX has taken this approach, however coffee is a fundamentally different product vs. food. Moving towards a hyper-efficient food concept too early could lose mass market appeal, killing the third place concept, and eroding your long-term defensibility and brand loyalty once automation commoditizes. Some form of commodity hardware. Team with operating experience in food service. Focus on improving UX while maintaining human feel that lends itself to the mass market in the short term.